how you doing?? In a couple of days, it’s been so hot like hell in Los Angeles. 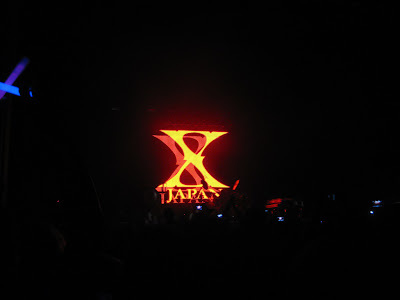 In spite of the fact that I’m not in good physical condition, I went to X-JAPAN concert yesterday. 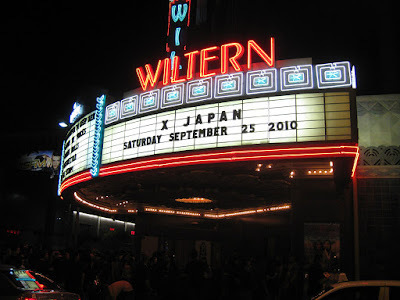 They just started North American Tour from LA and then after this, they are going to Oakland, Seattle, Vancouver,Chicago and more many places. 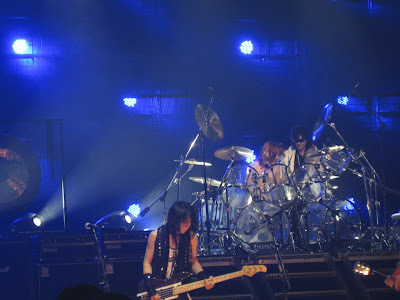 I’m not even fan of them, but I like YOSHIKI, I respect his work and his talent so much. 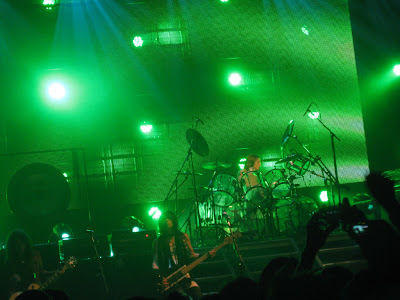 but waiting so long was not worth it—– That’s my opinion over all. The concert supposed to start　at 6:30, even a headliner performance is considered, just imagine, what if you have waited for 3 hours to see your favorite musician’s concert? 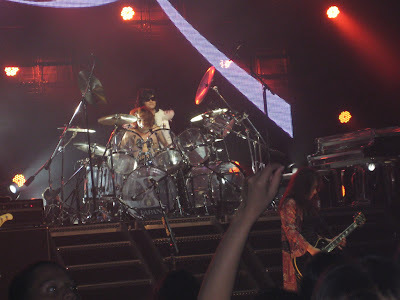 Guess what,they didn’t show up until 9:30~~~~~!!!!!!! 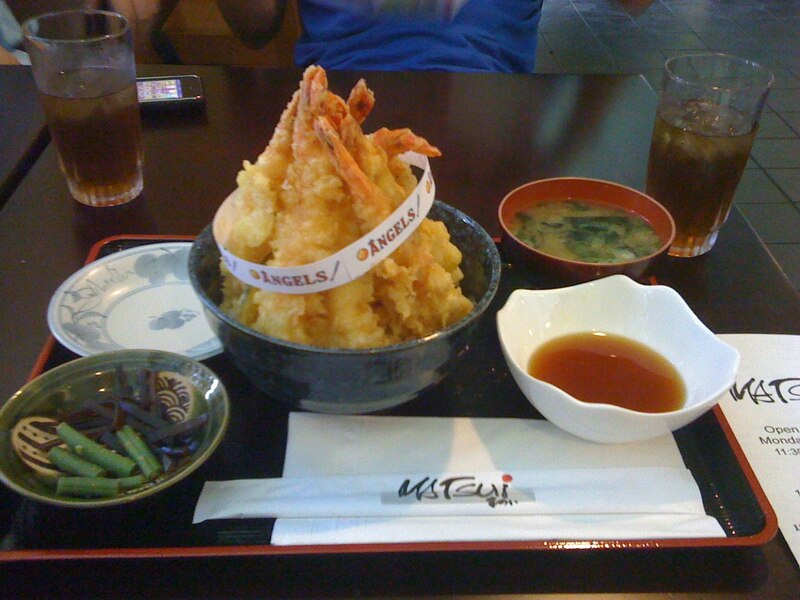 I had a special Tendon lunch set at Matsui Restaurant in Little Tokyo, Los Angeles. 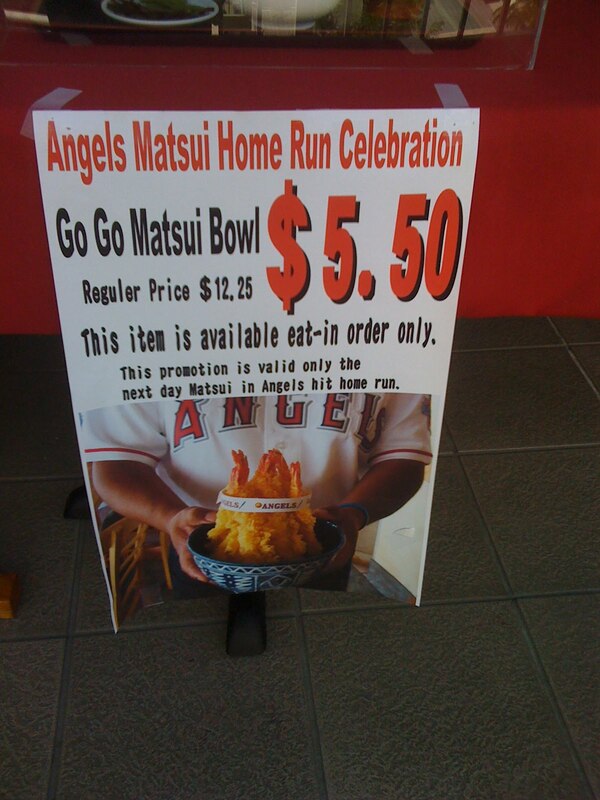 When every time Japanese major baseball player, Matsui from Anaheim Angels, hit homerun, on the next day of the game, everybody can get this Matsui Bowl for $5.50!!! The original price of Matsui Bowl is $12.25 when you try to eat in a regular day. Altogether in a bowl was 7 shrimp!!! !